First things first, I didn't do any reporting on the Eclipse Awards, there are plenty of thoughts by my American counterparts within The Thoroughbred Bloggers Alliance who are more into that stuff than me. Those who read this blog know I'm more into pointing out the cynical side of horse racing, while give suggestions, and predicting which way the industry is going. I wanted to get more detail regarding the Betfair purchase of TVG which I reported as a strong imminent rumour in my January 23rd post. To date, I can only go with what a rep told me he thinks will happen, which coincides with what I think as well. Canadians will soon be able to make wagers on American tracks through TVG at the Betfair site. Again, betting offshore from Canada is not illegal. If it was, there would be arrests made. Simple, either something is legal or it isn't. From my understanding, unless Betfair had a server in Canada while having no license to operate here, then Betfair would be doing something illegal. In the USA, arrests have been made against principles who own offshore houses. Laws were passed making it difficult for Americans to transfer funds to and from offshore betting shops. Betfair isn't stupid. They deem the laws in the US powerful enough that they don't take American bettors. I've written about the legalities of betting in Canada before. Read it. Ok, so now about the acquisition. TVG with all their content will soon be available to Betfair players. This will be a huge boon for tracks on the TVG menu. What will happen happened in Australia when Betfair went into expansion mode. Betfair customers will mostly play low commission exchange bets, but will take advantage of betting directly at the track if they see better odds there. Also, players may be torn between a couple of horses, and then bet a few exactors or triactors, directly into the America pools. I also expect TVG to start rebating more and more, because Betfair understand how to get customers to play. Finally, I expect this change to finally change the betting landscape in North America. Exchange betting with low costs to players will become accepted in most US states. Sure, the best thing is for the dysfunctional North American racing industry to start their own exchange. But track jurisdictions can't even agree with each other on what drugs should be legal. Because they are so dysfunctional and so behind the times in their mentality, horsemen and tracks will get somewhat punished, as Betfair will get some of the profits that horsemen and tracks could have got if they had an ounce of foresight. The game will finally grow, and more and more households will have betting accounts and be up to speed on North American racing. Which is fantastic. Who will suffer the most? Woodbine will. And they deserve it. With slots, they've kept takeouts to the moon, giving customers no hope to make money in the long run. From what I understand 1 in one thousand HPI accounts show a profit in any 365 day span. How can you beat a triactor takeout of 28.3%? And betting has gone down, despite populations and availability going up. Woodbine has tried to bully a monopoly status by signing collusive deals with US ADWs trying to prevent Canadians from betting through them. The tide has turned, and Woodbine is caught with its pants down, if Canadian Betfair customers can bet through TVG. And I see no reason at this time why that won't happen. TVG doesn't have Woodbine in their menu, and is likely to never have it now. But who cares? There are enough tracks on the TVG menu to keep the Canadian gambler very busy, and lasting much much longer, while giving him or her a chance to make money. Racing's Response To Betting Exchanges. 6. Or racing could enter the market with a competing betting exchange–or with some as-yet unthought-of method of supplying competitively priced wagering on U.S. races to the emerging global horse-race betting market. Pull The Pocket has lots of thoughts on the acquisition of TVG. Check it out. Speaking of a dysfunctional game. Tracknet has indeed cut off signals to Las Vegas. The ORC wants comments on proposed changes. Harness racing betting Ontario may be close to bottoming out. Harness racing really needs to use exchange betting to avoid extinction. South Carolina courts will be making a monumental decision next month regarding the legality of Hold em Poker. "Is poker a game of chance or one that involves skill and therefore legal under the law?" Simple answer is that it is a game of chance that involves skill to be successful. But more to the point, a skillful player will win more or lose less over any significant period of time than a less skillful player. Luck will even out. Interesting. Virtual horse racing creates a real millionaire. 74588 races over four years? That is over 53 races a day. But at a quarter million a year in income, I guess it as good a job as any. Mind you, I don't know how much it has cost PillButt to play either. And don't forget to go to the HANA blog as the countdown to the number one bettor friendly race track continues. Today's feature is Del Mar, which comes in at number 14. The ORC has extended Fort Erie's licence to the end of March, making today's drop dead date null and void. Nordic has until mid March to announce whether racing is a a go or not. The government needs more to time to assess the proposal set forth by the Fort Erie EDTC. Concerns about the proposed slots deal where Fort Erie lends 200 machines to Woodbine has been mentioned as a cause for delay. Well d'uh. First off, the EDTC wants to dictate that the machines would be theirs, and that they would get more than the amount every track in Ontario gets on slots (they are proposing 33% for each the OLG, Woodbine, and Fort Erie). If it was that easy, why not let Nordic lend the machines to Woodbine under that proposed agreement? That would take care of Nordic's supposed $3.2 million yearly deficit. And tax payers wouldn't have to dole out $35 million for a losing business on land that was assessed at $21 million, that would be worth maybe $7 million in a fire sale. I don't see much of a difference having Nordic still own the place or the EDTC, who have the audacity to overprice the track tremendously to meet Nordic's extortion demands. I could just see how quickly they could deteriorate the situation if they were in charge, or had anything to do with hiring the "new" people in charge. The horsemen are rightfully upset, as they have no clue what to do or where to go with their horses. The season is scheduled to begin the first week of May, and they need the track open for training by the middle of March. But that is only part of the problem because they have to apply for stalls elsewhere and contemplate selling their homes and/or moving. It is ugly. Again, the only real solution for 2009 would be the OLG giving Fort Erie a special deal of 35% of slot profits for both the horsemen and Nordic. It doesn't appear Woodbine is interested in buying Fort Erie, and it isn't likely that Nordic will sell the price for a fair price (much lower than $35 million). Creatively, if the government were to get involved, they could back a deal where they hire a turnaround management company (with no risk to the turnaround company) to lease the track for 3-5 years from Nordic for a dollar. The government would be responsible to pay the turnaround company and be responsible for any losses incurred by the operations (keep in mind, the government could rationalize that they are doing their best to make the business profitable). This might be able to get around the government loophole where they say they can't control losses, so they can't guarantee the track breaks even. In the meantime, Nordic can look for someone to buy the track that they obviously don't want to run anymore. Any person wishing to convey their personal situation or feeling regarding the Fort Erie Racetrack Situation should put it in writing and then call Cara Lee at 905-871-1332. She will make arrangements to get it to the proper authority. See also Perry Lefko's article on the extension. Another article by Lefko, this time in the Star. Just a reminder. Go to the HANA blog and check out the top bettor friendly race tracks in North America. The countdown from 20 to number one has begun. 65 thoroughbred race tracks in North America have been rated in order of how appealing they are to the average bettor. There is a countdown right now at the HANA blog, starting with the 20th rated track, Sam Houston. If anyone expects Woodbine to make the top 20, let me put you out of your misery right now. It aint gonna happen. Not with a track takeout on triactors of 28.3%. Check the Hana blog every day to view the top 20 countdown. If anyone is interested how the ratings were calculated, read here. Betfair is rumoured to be buying TVG. They plan an aggressive marketing campaign in Canada as they try to lure poker and sports bettors. They are also looking to sign deals with horse racing organizations in North America, which will give USA and Canadian tracks a chance to get some of the Betfair profits. Woodbine will never sign with them unless they stop taking bets from Canadians, and that isn't about to happen I would think. Like Vegas gives a flying fark. They will still have the other tracks available for their customers, and lets not forget Vegas has a few other ways in which their customers can lose their money and still have a good time. TrackNet is going to lose out big time because of their actions. TwinSpires To Offer Free Video of this Weekend's Handicapping Contest In Vegas. Long time Ontario trainer Norman Bowles, 69, dead of a heart attack. R.I.P. Not good for Fort Erie even if the track stays alive. This means slot revenues may continue to dwindle. Hopefully, the government will make the OLG change the revenue distribution, and somehow make Fort Erie an exception (border town yadda yadda the only other thoroughbred track in Ontario yadda yadda yadda). Sources say that there will be a positive announcement come Monday regarding racing at Fort Erie. All the government has to do is OK 3.2 million dollars if Nordic is still the owner for 2009 to keep racing going for at least a year. A long term solution of course is sought. A sale. EDTC $35 million? I doubt it. $100,000 per acre? Found a property near the track for $61,000 per acre (note: not sold). Woodbine, possibly. Government gets Nordic to lease out the track for say 3 years to management that attempts to make Nordic profitable, where the government guarantees any losses in the meanwhile. The OLG gives Fort Erie a different deal. 17.5% of the slot profits to the horsemen and 17.5% to Nordic would be acceptable and make sense. The Fort Erie Economic Development and Tourism Corporation (FE:EDTC) has made an offer to buy Fort Erie Race Track from Nordic Gaming (El Ad Group) for $35 million and turn the track into a not for profit organization similar to Woodbine Entertainment Group. Meanwhile, Nordic has given the government until January 26th to come up give them $3.2 million in bail out money (which will be part of the purchase price for the track if the EDTC offer is accepted). If the government does not give in to Nordic's demands one way or another, Nordic will withdraw their racing license for at least 2009. Apparently, if Nordic doesn't withdraw, the ORC will be in a position to take the license away from them, and then Nordic may never be able to operate a race track in Ontario again. Right now, the ORC has given Nordic a license until January 31st. They can choose to extend the license to the end of February, for example, which will buy more time for Nordic to make a conclusive decision regarding the 2009 season. The question of whether slots will be able to continue at Fort Erie without live racing is also debatable. Nordic has a contract to operate slots until the fall, however, as Sue Leslie (from the HBPA) pointed out on phone at today's press conference, slots were put into race tracks with the intent of propping up the race track industry first and foremost. Without live racing, it is her contention that slots will not be able to operate. This whole slot situation is a gray area for racing in Ontario and the OLG. And it could wind up in the courts, as slots definitely benefit both Nordic and the OLG, and Nordic especially, if racing were not to continue. James Thibert, the executive director of the EDTC came up with a pretty inventive plan to try to save Fort Erie racing. However, there are a lot of ifs in the deal. First, the government has to loan the EDTC the money to buy the place. A 40 year low interest loan underwritten by the Ontario government is being sought. The $35 million purchase price was arrived on what Thibert believes the land to be worth. He states the land is worth on average $100,000 per acre. I think the price per acre is debatable because if Fort Erie were to close, industrial land prices would go into the toilet in the Fort Erie area, as people would be forced to move causing demand for industrial land to weaken. Fort Erie race track just had its property assessed at $21 million for tax purposes. Assessment prices are usually on the modest side, but the current global economic recession may mean that the assessment could be considered inflated as real estate prices are dropping in Canada at this time. Also, Woodbine (the OJC at the time) sold Fort Erie in 1996 or 1997 for $10 plus the assumption of $3 million in debt. Granted, Woodbine wanted out at that time. With slots not in the picture, they were struggling keeping Woodbine afloat. However, Woodbine must have figured the land was worth something at that time. I have a hard time believing industrial land in Fort Erie has gone up that much since then. But I'm not into real estate, so what do I know? Thibert did state that Nordic received a similarly priced deal in June by a group of businessmen, but they declined to make the deal because Nordic supposedly cares about horse racing (yeah right!). Most likely is that the deal was conditional on financing that never happened. Nordic knows $35 million is a great deal for them. And the $35 million price doesn't factor in that the business according to Nordic is a losing proposition. Thibert estimates that the track costs $11-12 million a year to operate, while only taking in around $8-9 million in revenues (which includes $4 million from their share of the slots). It is pretty much agreed up that the race track can't make too many more cuts to help decrease cost expenses. So Thibert has also proposed a new revenue stream. He believes that he can rent out 200 slots to Woodbine, who have a $900 net per machine, and run at 85% capacity right now. He proposes that Woodbine, the OLG, and Fort Erie split the profits from those machines one third each. For Woodbine, it isn't a bad idea, because they get 20% of profits per machine, and this deal would increase their take on those machines. And for Fort Erie, this could generate a few million dollars each year, which can be used to negate their losses, and even pay back the government loan by the EDTC. One flaw though. The machines are property of the OLG and not Fort Erie. This deal would have to be approved by both Woodbine and the OLG, and could impact all slot machine deals in the province. It might be easier for Fort Erie to give back machines to the OLG, and receive a bigger slice of the profits (30-40% instead of the 20% they split equally with the horsemen), but again, every other track in Ontario will ask for a similar deal, though Fort Erie has a unique case being the only other thoroughbred track while also being a border track as well. Another thing that could hinder the deal is that Nordic would have to stick around through 2009 because the licensing process takes quite some time, and the new owners also need to have clean records, really clean records. Sources say that the government wants Nordic out altogether, if they have any say in the matter. 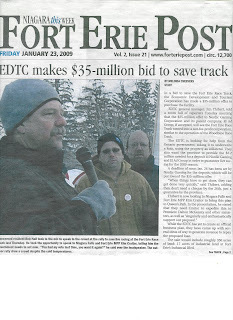 My prediction is the ORC will extend to February 28th, and that the EDTC deal will be quashed, but the government will give Nordic the $3.2 million to operate for 2009 on condition that they actively try to sell the track at a reasonable price, or more preferably, the OLG will give Fort Erie a special deal on slots where Fort Erie gets 30-40% of the profits. The biggest problem facing horse racing growth today is the fact that they fail to compete to gain new customers while also failing to compete to keep old customers. The racetrack isn't the place to be anymore for the gambler and internet has made the world a lot smaller. Gambling is growing worldwide, but gambling on horse racing has been on the decline, not just due to the global recession, but prior to that, betting on horse racing has dropped in real dollars, despite the fact that one can gamble from anywhere anytime today. I expect 2009 to be way worse than 2008 when it comes to parimutuel horse racing. The economy is in the pits, more and more players are being turned off horse racing as it is perceived as strictly a losing proposition by the masses (at least those who don't bet at rebate shops), and credit card deposits are going to become scrutinized by card companies, while more and more addicted gamblers have no more room to deposit to an ADW. The other factor is that horsemen groups are demanding more of a cut, reducing the amount players receive from rebaters. More price sensitive players, who account for a large percentage of the handle, may just either cut back or continue to leave. Horse racing is in dire need of a major pricing change. It needs to show the masses that the game is beatable in order to attract new young blood to play. I've often said that horse racing needs a poster boy in North America, a big winner who bets horses and consistently wins. Poker has quite a few, and new heroes are made every now and then as well. Like Poorya Nazari, a Canadian who recently won $3 million by becoming the PokerStars Caribbean Adventure Champion. How many gamblers reading this right now can't help but think "this could be me?" Anyone thinking of gambling will be attracted to poker and not give horse racing an afterthought. And poker is easy on newbies as well, because the game has a relatively low rake (or takeout). The cost to become a poker addict isn't all that great. And the low rake gives the player much more time for the bankroll to last, than does horse racing. Poker is a lot easier to grasp as well. Not nearly the high amount of nuances are needed to become good at poker. Horse racing takes a lot of work in order to become good at it. And even if you are good at, it is highly unlikely you will win. You'll might only lose 5-10 cents on every dollar bet, instead of the average 20 cents. Why would anyone new be attracted to bet horses under current conditions? Horse racing does have poster boys though...say what? Thanks to Pull The Pocket for discovering the fact that there are at least a couple of players doing more for horse racing than every marketing department in North America put together can. The problem for North American horse racing is that these players are exchange bettors. First Poster Boy: Adam Heathcote. A 23 year old from across the pond in London, England. He has a goal to make 150,000 pounds (around $300,000 Canadian) in 2009 betting through Betfair. He has only been playing for around a year and a half. He has a blog (Horse Racing Trader) that he updates regularly regarding his quest. As of January 14th, he was up over 8,000 pounds on the year, which is slightly higher than needed to achieve his goal. Then there is Betdaq and Betfair Racing Trader This anonymous player had a goal to make 100,000 pounds, while starting with 1,000 pounds in 2008. By mid December, the gambler went over the revised goal of 120,000 pounds. Sure, we have the odd blog touts in North America, who give out their selections and bets almost daily, but what is sorely missing are anything that resembles goals with actual dollar amounts. Why? Because nobody wants to make a complete fool out of himself or herself. Every bettor knows that thanks to 20%+ takeouts, a goal of breaking even would be a difficult enough feat. I just wonder how many new players have been inspired by the two exchange bloggers cited above. I'd say many. Exchange betting doesn't mean people will win, even if they become good, but the possibility is really there, and that is what is important. Lets face it, most exchange bettors will lose. Betfair keeps around 3.5% of what is bet on average, and Betfair cannot lose, much like a track cannot lose taking a bet (except for the odd minus pool which I don't think happens at Betfair). Still, because of low commission and churn, players get a huge bang for their buck and are highly likely to continue to play, and tell others about it. North America needs to do two things. Reduce the takeout to 10-12% everywhere. And secondly, it needs to set up their own exchange, where the tracks that get action get the bulk of the 3.5-5% commission lost by players. See also, Interesting Winning Bettors-At Racing! Good article, read it. Especially something us Toronto born horseplayers can really relate to. Horse racing is a gambling product not an entertainment one. Racing execs either want to pretend this isn't the case or still "think" they can dupe the public into believing it isn't the case. In 1996 when Woodbine was to host the Breeder's Cup, the union that represented the ticket takers went on strike. David Willmot, the President of Woodbine Entertainment, considered withdrawing his bid to host the Cup. Upon hearing this I contacted Mr. Willmot and told him that if he did so he would pass up a golden opportunity to win a new generation of fans, and once again reclaim the families that would witness the great racing of the championship day. He in turn invited me to the offices at Woodbine to discuss the issue, telling me that he is indeed interested in the fans that became disenfranchised and that my demographic was exactly what they were trying to win over (20-30 something families with young children). We discussed numerous concerns, from lack of things for families to do, small field sizes, high takeouts, disassociation of the horsemen from the fans, lack of perks for larger horse bettors and many other issues. I mentioned about 20 issues, and he agreed with every single comment I made. In fact he told me of his grand plan to make Woodbine into the ultimate Entertainment complex. He envisioned family areas, slots for the single women who didn't want to attend the races, new betting options, perks for the regular attendees, lower takeouts for those who bet more and a better form of entertainment for all who come to the track. While off-track betting and racing on TV were starting to grow, Willmot agreed that the only way to get the next generation and those afterwards interested in horse racing again was to woo them back to the track. Only seeing the product live would win over those who aren't familiar with it. He listened to my arguments and comments, agreed with all of them, and implemented none. Yes, slots were added to the track, but those were already in the works prior to the meeting. Parking and admission prices, were dropped, but that was only because they couldn't charge people to play the slots. New betting options were added, but only ones that weren't winnable. I was talking about ideas such as horse matchups, and Woodbine instead opted for pick 7s and superfectas. As far as a place for women and children to enjoy themselves, Woodbine offers little; and on my travels to other tracks throughout the U.S., I noticed there was nothing for families there either. Plus, for the loyal race goer there are still no perks for them. In fact the only perks offered are for those who bet at teletheaters or by phone. Betting at the track gains the bettor nothing. Things have changed further since 1996, making the idea of attracting newbies by getting them to the track even more difficult. It is so easy to gamble on more competitive forms of gambling from home, lotteries have been growing in popularity, and slots has made the idea of family outings a near impossibility, as one of the parents is likely to be attracted to the slots, thus breaking up the family experience that was once found in the 60's and 70's. A new easy to play horse racing game has appeared at addictinggames.com; Racehorse Tycoon. I like the part where you get to choose the horse's diet. Your choices include beers, cakes, burgers, or cheese:) I usually choose beer since vodka injections aren't on the list. And the best part of the game is that you can play and after an hour or two, you haven't lost a dime. Save Fort Erie Rally: And The Verdict Is "We Don't Know Yet"
I think almost everyone is in agreement that Nordic needs to go. They can't have a clue how to run the business if their expenses are really losing $12 million a year (that is supposedly before interest charges on an alleged large loan). When tracks like Beulah and River Downs can run 100 days a year each without a $4 million buffer from slots, and most likely do not lose money (though I don't know for sure), either Ontario makes it impossible for businesses to make money, or the track is poorly managed. Problem is that Nordic has allegedly asked too much for the place. If slots remain open without racing, they most likely would be profitable, so they don't seem to be in any rush to panic. If the slots close, then they have a white elephant, and they will still have to cut checks for things like property taxes. And right now, I don't think Nordic aka El-Ad aka Delek is prepared to write any checks whatsoever. How much is a business, with no income and 300 plus acres of industrial land, in a community that will be partially disbanding, that can't even support 3 grocery stores right now, worth? The only two answers to satisfy horsemen right now will probably come from a government bail-out. But Nortel didn't get a bail-out when they recently asked. The other solution has David Willmot biting the bullet and buying back the track. 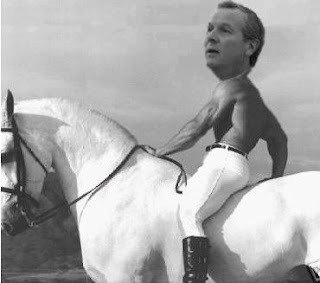 He can ride in on his white horse, and show how much he really cares about racing in Ontario. Woodbine Entertainment is, after all, a non profit organization, right? They are supposed to be the leaders in HORSE RACING in Canada, not slots, not casino games, and not sports bars. A track that loses two or three million a year should easily become profitable under Willmot's fine team (OK, maybe that is asking a lot), but they can still afford to take a $3 million a year hit and still offer huge purses at Woodbine. Lets not forget that when the OJC sold Fort Erie for $10 and assumption of a $3 million debt to Nordic, Woodbine was struggling themselves. The only thing Woodbine struggles with now is catching up to the 21st Century when it comes to competing for todays gambler's business. One thing is for sure, lack of horse racing in Fort Erie will completely devastate the town's economy. I know other solutions are being brought to the table. But their viability and the time it takes to implement any of these might not save Fort Erie in time for a 2009 season, at the very least. For instance, Fort Erie Mayor Doug Martin is going to Toronto on Monday or Tuesday with some sort of plan, though he and EDTC GM James Thibert didn't elaborate on what it was. Two things are happening right now. The internet is allowing bettors to have a forum, to criticize, and make positive suggestions, that are in the face of racing execs. The most important thing is that what members of the Horseplayers Association of North America (HANA) are saying and predicting regarding the state of the horse racing industry, are occurring, and very quickly. Unfortunately, the industry seemed content with stagnant growth of late, but now we are seeing a real decline, and it isn't pretty. HANA has outlined the reasons why the decline has taken place, first and foremost has to do with horse racing's decision not to compete with other forms of gambling by keeping the cost to the player (the takeout) in the stratosphere. Bettors, regardless of whether they understand or even care about track takeout, understand that they last a lot longer betting sports, poker, and even slots. The takeout makes the thought of betting on horses a complete negative. Without winners (other than the winners who play with rebate shops), the industry has no meat to attract new customers. Unlike the days of old when winning was possible, when there was only 8 or 9 races to bet on each day, five days a week, and the bettor had to show up at the track to place a bet, and there were lower takeouts back then, and only one daily double and an exactor or two to possibly derail the churn bank roll, today, you can bet from everywhere, almost anytime, from noon until midnite, and there is a triactor with a takeout of anywhere between 20-30% enticing bettors to play, and there isn't just 40 races a week available either. Mathematically, the game is as close to impossible to beat today, and the addicted are starting to die out, not being replaced. The young have already discovered poker and sports betting, to not only be possibly beatable but also they are games that allow bankrolls to last, much like bankrolls lasted back in the 60's and 70's for horse racing players. I could also mention drugs which also add to the takeout the non insider must face. But I'm a very strong believer that if racing attracts more bettors, drugs will be scrutinized much much more than they are right now, especially if they get in the way of players who come close to beating the game for a living. Right now, does it matter that much that trainers are cheating and ripping the public, when the public has next to no chance of beating the game because of the takeout drugs or no drugs. That is why I laugh at Woodbine's issue with the horsemen regarding drugs and integrity for their customers. They charge a 28.3% takeout on triactors, even though they have slots, and they have the nerve to mention doing something for their customers, or the word integrity? Cracks me up. As for the decline in wagering, if we look at Ontario harness racing as a leading indicator, horse racing could be in huge trouble now, and we might see a rapid fall off from here if things aren't changed in a hurry. Chris Scherf, executive director of the Thoroughbred Racing Association (TRA), acknowledged in comments made on the internet web sites of bloodhorse.com and the Paulick Report (paulickreport.com) that weakness in the economy is not the only reason for the wagering free fall. .....Scherf told the Paulick Report, “We’ve got to look into pricing (the takeout charge on pari-mutuel bets). Drew Couto, President of the Thoroughbred Owners of California (TOC) also had interesting things to say, and seemed to be in complete agreement that changes are needed when it comes to takeout, even adding that new ways to bet (like exchange betting) need to be seriously considered. Read more here. I realize I'm one of the most vocal members of HANA, at least on the internet, but KUDOS go out to the others who have blogged, and left fantastic comments on sites like Paulick Report, that have helped gain attention to our cause. HANA is not out to wreck the bottom line for racing execs and horsemen, just the contrary as we know that by lowering track takeout, the bottom line will increase as more players will be created, existing players will spend more time playing, and money bet offshore will be placed into the North American pools. 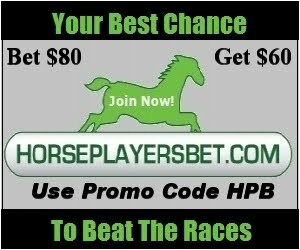 We want more players as much as race tracks do because it is very difficult to have or maintain any advantage when pitting good handicapper versus good handicapper. We want the sports bettors, the slots players, and even the lottery players to bet horses instead. HANA has around 500 members, and membership is free. The more members we have, the more power we will have, so if you haven't signed up as of yet, please take a minute or two and join by clicking this link. HANA has a blog. We also have a website. You are free to make suggestions, and we will listen, or you can support us silently by just adding to are growing number of members. Also check out HANA's Facebook page. Looks like January 15th is going to be the make or break date regarding whether racing will happen in 2009. Rumours have it that the government gave Nordic a take it or leave it offer, but there is a good chance that it won't satisfy Nordic. Lets hope this rumour is wrong regarding Nordic accepting it. Why does Thibert keep saying Nordic is willing to invest?? Nordic has already suspended the $300 million nonsensical project indefinitely a few months ago, regardless of whether the government would go along with it. I just don't get what Thibert is thinking or what he knows or thinks he knows. Nordic's parent company is getting hammered as well thanks to the global recession and they already postponed a project in Vegas where 1.25 billion was spent on acquiring land a year ago that today is worth half that. Nordic is simply looking for a bailout where they can at least brake even "according to their books." That in itself isn't something I agree with, but I'm accepting to it if it means the survival of the racetrack. David Willmot comments on ceasing negotiations with the OHHA. But please Mr. Willmot, stop mentioning integrity for your bettors when you maintain one of the highest collective track takeouts in North America, and where is the integrity in having "secret" rebate deals with some of your biggest player? I do think that high percentage trainers should be tested for everything, and I'm not sure if barring horsemen on hearsay evidence is the correct way to go about doing business. Got an email from someone who runs The Betting Advantage website. The guy who runs it is from PEI, and he gives what looks to be a analysis of his highlights each day, as he plays mainly Betfair. Check out his Phoenix Rising post, where he shows that at one point in yesterdays Cardinal upset over the Panthers, those on Betfair could have got at least 99-1 betting Arizona. He tells us he got out on the days after picking Baltimore to win the first game yesterday, but wound up betting poorly (too defensive), so that he actually lost money on his selection. Figures released today by Equibase Company confirm what the Paulick Report has been saying for months, that pari-mutuel handle on Thoroughbred racing in the United States is at its lowest level since 1998. With a 20% plunge in December wagering, year-end handle in the U.S. totalled $13,670,196,938, down more than $1 billion from 2007, a 7.16% falloff. It is the fourth decline in total Thoroughbred pari-mutuel handle in the last six years in the U.S. The business model is broken. More and more people are learning that you have to be an absolute sucker to bet without rebates into a 20%+ track takeout. Newbies who might just want to take a crack at learning the game are now doing internet searches and they bump into sites like mine who tell it like it is. I'd like to add that although I can't confirm it, I think that more people bet more money in 2008 at rebate shops than ever before. Take that extra churn out of the bottom line, and the final numbers might just look pathetic. Ray Paulick asks if Betfair will become a player in the US Exchange betting is the way to go. Personally, I think the US and Canada should have their own exchange set up, no matter what it costs to do so, so that the tracks and the horsemen wind up with the bulk of the profits. Of course, only if they play ball and charge exactly what Betfair charges in commission. This will attract tons more business, and it will shine light on the fact that track takeouts need to be lowered drastically in order for the game to grow. Again, read the comments over at Paulick Report, there are quite a few insightful ones. Betting in Maryland down huge. Is it coincidence that Laurel and Pimlico aren't available at Premier Turf Club? Not only are bettors leaving. Owners are leaving as well. Vet costs, high training costs, and the fact that new people aren't being introduced to the sport very much, which has a lot to do with the fact that bettors have left to play less costly forms of wagering as racing refuses to compete for the gambler's business. Are horsemen getting desperate because of the recession? Is it because of the no toe grab rule, or are trainers racing horses, who shouldn't be racing due to soreness, as often as they are now? Turfway isn't the only track that has more than its usual share of breakdowns these days. I've noticed a lot lately when viewing HPITV at numerous tracks. It is as bad as I ever can remember it to be. If you are interested in becoming an owner, a partnership may be the way to go. There is a new site called North American Racing Partnerships which breaks down available partnerships by location for both thoroughbred and standardbreds. A couple of caveats when joining a partnership. Know what the exact costs are and do some research to see if they are in line with the costs associated with a specific track or region. Also, beware that if you wind up buying horses for the partnership to begin with, it is best to buy at auction, or via claiming. It may not be wise to buy a horse from someone setting up the partnership because it is my experience that they can be overpriced. Getting real value for a race horse can only be achieved when claiming, or bidding, or buying privately at arms length. There is a really good and detailed discussion having to do with drugs and horse racing, specifically having to do with Turf Paradise, on the MSNBC horse racing forum. Message #60 is very good as it gives reasons why cheating on horses should be a criminal or federal offense. Kentucky vet, I trained but rarely owned for 36 years. Set about 5 or 6 track records,had Horse of the Year in 2 different states. Made a good living, never owed a stinkin vet,shoeing, or feed bill. And yeah, I know a lot of what they're using. Let's see, uhhh how many packets of electrolytes do a couple of those guys have on their bill? You know, the ones in the pink and yellow bag??? Uhhh, how about the injections into the throat right where the throat latch goes to relax the muscles in that area. How about the injections into the trachea? Epinephrine and camphor oil. Ring any bells? All of these occurring about 2 hours before the race.How about the guy that had one of these little deals on film that happened 2 hours before the race and the vet got suspended. Said it was lasix. Since when do you inject (according to the video) Lasix into the trachea 2 hours before the race. Don't embarrass yourself by treating us like morons. Some of us know EXACTTLY what we're talking about. Hell, some of us even tried some of it and it worked pretty good. But some of us were too chicken to go on with it,as we weren't one of the chosen few. There is another message that states in Arizona they only spend $37 a race on testing, and that is why there are so many chances being taken there. I think mount fees are too low in some jurisdictions, but I am also a strong proponent for jockeys getting 10% of the prize monies for place and show as well. It makes no sense that outside of stake races, they get so little if they don't win. I hate seeing riders records where the jockey wins at 14% comes second at 7% and third at 7%. It makes me question whether they try as hard when they know they won't win. The OHHA voted to race without a contract while they continue to negotiate. Sorry, I still don't have any news on whether Fort Erie will open next year, only that we might hear something on January 15th. The ORC has granted Fort Erie a license through to January 31st. The OHHA believes that it is the ORC's job to regulate the industry, not WEGs. WEG has been banning suspected drug violators (horsemen) from WEG owned tracks, using a guilty before proven guilty approach. Robert Leatham rips David Willmot on the contract problems. Another article by Leatham here. Note to Leatham, if you are going to write something inflammatory about David Willmot, you should spell his name right. It helps your cause when others are searching his name on the internet. My take on the subject is that it must be very frustrating for to understand that cheating is occurring regularly (most likely) in racing when it comes to illegal drugs. However, the way to go about stopping it is by increasing fines and suspensions by the ORC, and most importantly, increasing testing. Of course, in order to increase testing they need a bigger budget. That can happen if they LOWER track takeouts. Their bottom line will increase. Horsemen in Quebec not getting too much sympathy from the public as they send horses to the abattoir. The industry is Quebec is dead, but how horsemen can sell race horses, and retired horses for meat is beyond my comprehension. These horsemen don't belong in the business. Well, Pull The Pocket was wrong in December 2007 saying racing was at the bottom. In 2008 it found a brand new bottom. What does 2009 have in store? TVG and NYRA finally sign agreement. Baymount Incorporated provides year end update. There are four home dogs in the four games this weekend. Bet them all and you'll probably go 3 for 4. Philly and Atlanta are being hyped up by the media. Don't buy it. I have a feeling Warner is going to pull it off for Arizona. I just hope he doesn't ramble on about God affecting the outcome in post game interviews. Miami might just do it. They've been tough all year, and I just don't think Baltimore will score enough to win. It was amazing that San Diego got up to make the playoffs. Mike Shanahan deserved to be fired. Give Cutler a deep threat and find a way to protect the running backs a little better and next year and they'll be much better. Brandon Marshall and Eddie Royal are too similar. Indy should have been favored by a lot more. The bookies know something.